Last week, we covered longer reads and interesting articles about food and health, as well as everyone's favorite, the Wall of Shame. 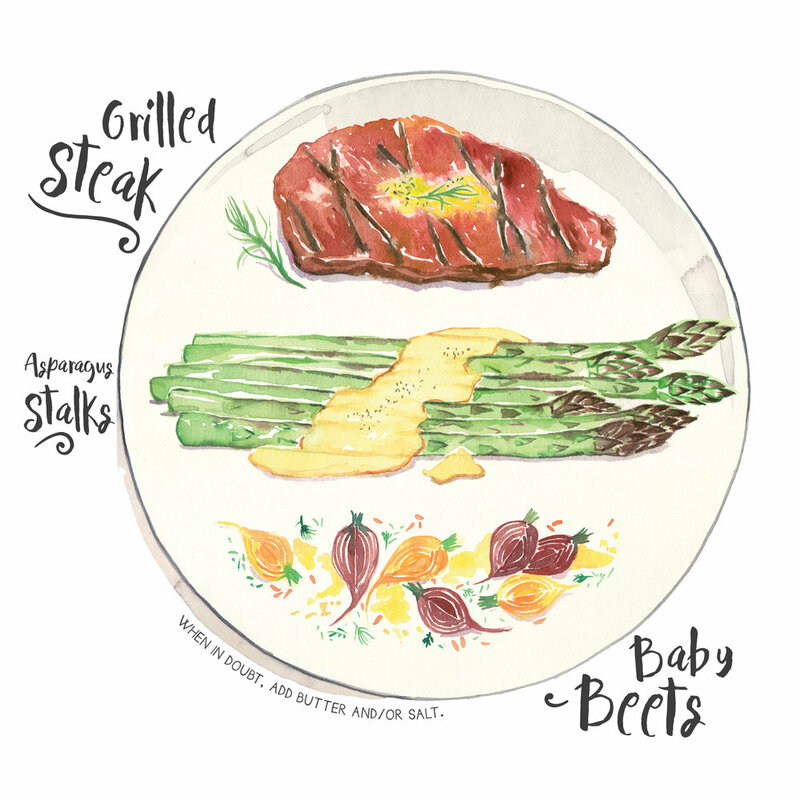 This week, we'll keep it short with the Plate of the Week and some butter fun! This plate is low carb and takes about 30 minutes to prepare. My amazing Dinner Plans co-author, Adele Hite, is now recognized as part of team Eat the Butter! Adele has been bringing her high caliber food IQ, wit, wordsmithery, and RD MPH credentials to Eat the Butter—behind the scenes—for years. Now, you can see her smiling face on ETB's About Us page. For more on Adele, please check out her thoughtful (but amusing) blog, Eathropology.com. Beware—if you are new to Eathropology, there's a lot of fascination there. Prepare for binge reading! Grilled leeks + brown butter. America's #2 butter. Today Show hosts sculpted in butter. Tune in next week for May news headlines.